Today the Florida Board of Governors unanimously confirmed the selection of Dr. Kent Fuchs as the 12th president of the University of Florida, taking over Bernie Machen’s position. 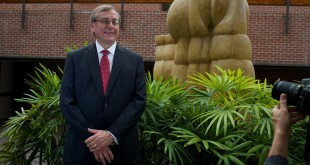 W. Kent Fuchs, Provost for Cornell University Ph.D., has been selected as the University of Florida’s 12th president-designate. 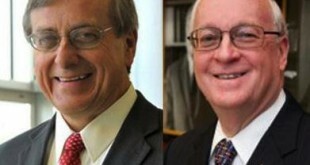 Dr. W. Kent Fuchs and Dr. David W. McLaughlin move forward in the search for a new president for the University of Florida. 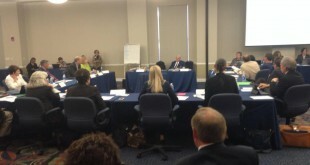 Dr. Sibrandes Poppema was not selected to continue on in the presidential search. 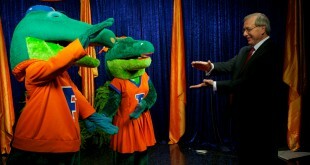 On Monday, the search for the University of Florida's next president was narrowed from 15 candidates to three. The candidates, Wesley Fuchs, David McLaughlin and Sibrandes Poppema, had their photos taken at Weimer and were interviewed to help make the final decision. 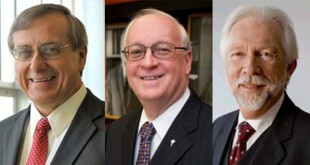 The University of Florida's three presidential candidates include W. Kent Fuchs, Ph.D., of Cornell University, David W. McLaughlin, Ph.D., of New York University and Sibrandes Poppema, Ph.D., of the University of Groningen in the Netherlands. 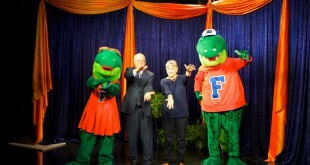 The search committee for the president position of the University of Florida narrowed the field from 15 candidates to three on Monday morning.